Unlike any other standalone 360° appraisal system, 360calibrate is designed to provide a completely comprehensive insight into your Leader’s performance, remove barriers to feedback and ensure lasting performance results by utilizing the Leader’s support system… HR and the boss. Where typical 360° assessments terminate after one feedback session with the Leader, OUR 360calibrate takes feedback 1… 2… 3… steps further! 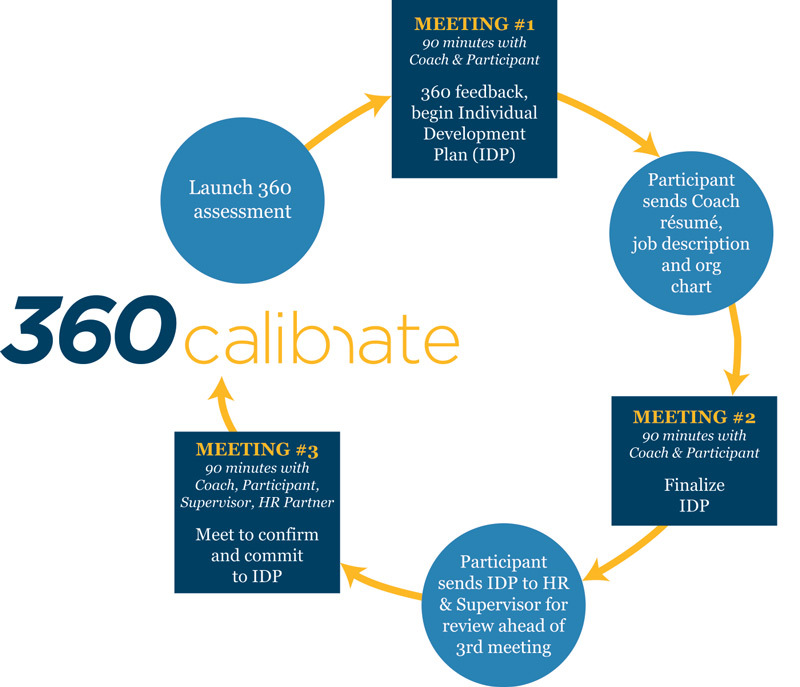 Calibrate: Calibrating Leader’s Individual Development Plan (IDP), performance goals, and expectations with Direct Supervisor and HR Business Partner. “Calibrate is a fantastic way to “jump-start” the leadership development and assessment process! 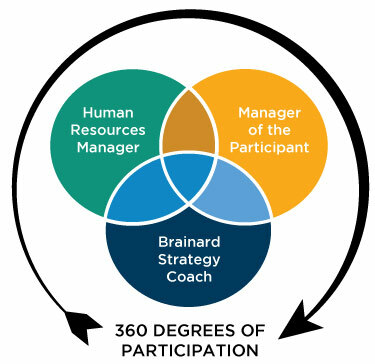 Simple and user-friendly, Calibrate gives the individual being assessed the opportunity to work with a professional coach, receive a 360 assessment, and to work closely with their manager and coach to develop a realistic and behavioral-based improvement plan focused on maximizing the leadership skills.